Desperate to find means of support for his family, Noy fakes his credentials to get a job as a TV journalist. 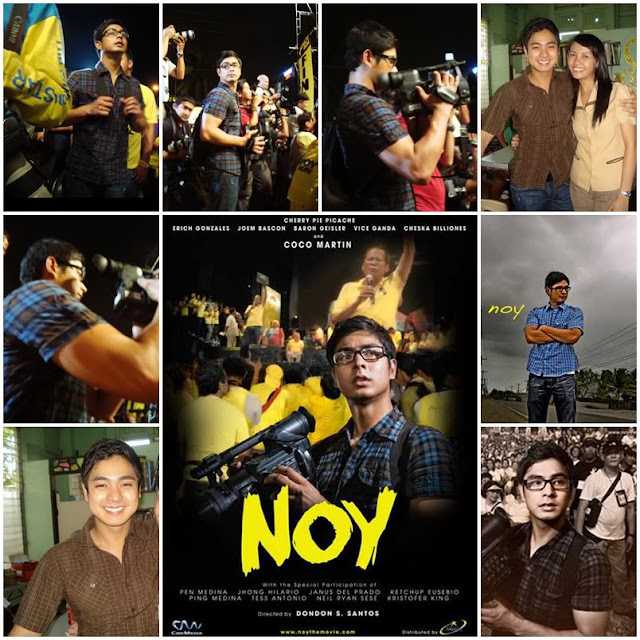 His assignment is to come up with a documentary on the 2010 Philippines national elections while following the trail of his namesake, senator Benigno "Noynoy" Aquino III, the top presidential contender. 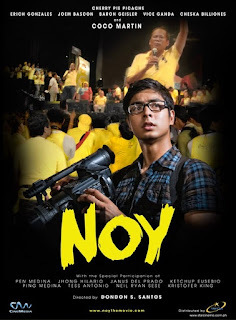 During the campaign Noy becomes more aware of the responsibilities of real journalists. While a fresh wave of nationalistic fervor and enthusiasm permeate the country, life at home fails to improve for Noy's family and the disparity between the two "Noys" becomes increasingly evident. If one lives for the truth, the other lives a lie to survive. Infused with actual documentary footage of the presidential elections, interwoven with dramatic scenes, the film deals with the realities of poverty for many Filipino families and the fact that it may take more than one man to change the country's history. Noy is a Filipino independent film released in 2010. It stars Coco Martin and Erich Gonzales and was released under Star Cinema. The film was directed by award-winning film director Dondon Santos. The film is rated "A" by the Cinema Evaluation Board of the Philippines. It was selected as the Filipino entry for the Best Foreign Language Film at the 83rd Academy Awards. However, the film didn't make the final shortlist.